I love green vegetables as raw or cooked. Vibrant colour and bitter taste. I cannot live without them! I bought a bunch of kale from the market this morning. I use a lot of greens in cooking like spinach, broccoli, zucchini, spring onions, cabbage, bok choy, etc. But somehow I haven’t really used kale and collard that much – maybe because it is a bit hard to find at the supermarket here. I really should make a trip to the farmers markets on the weekend and explore more. Apparently Kale is one of the healthiest vegetables on the planet. One cup of chopped kale contains 33 calories, 9% of daily value of calcium, 206% of vitamin A, 134% of vitamin C, 684% of vitamin K, a good source of copper, potassium, iron, manganese, and phosphorus. 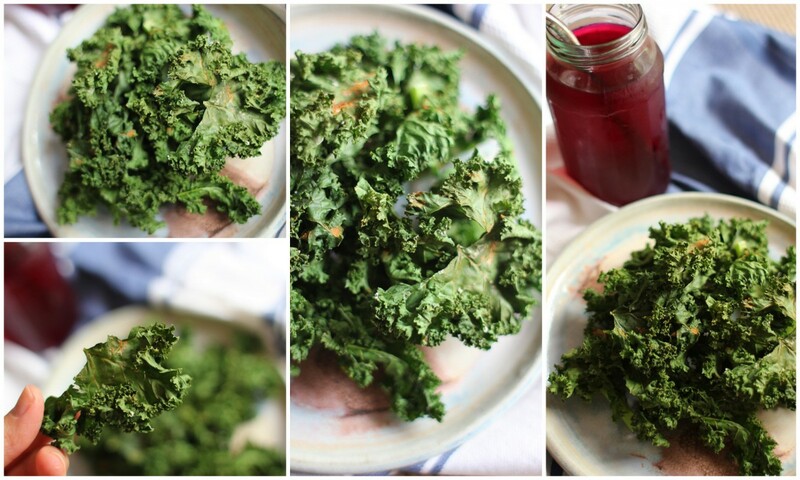 Antioxidants in kale have the anti-cancer health benefits. The fibre content helps to lower blood cholesterol and reduce the risk of heart disease. But, too much vitamin K can cause problems for some people who take anticoagulants. And you need to avoid eating calcium-rich foods with kale since it interferes with calcium absorption. So it is proved that kale is a power house of nutrients! 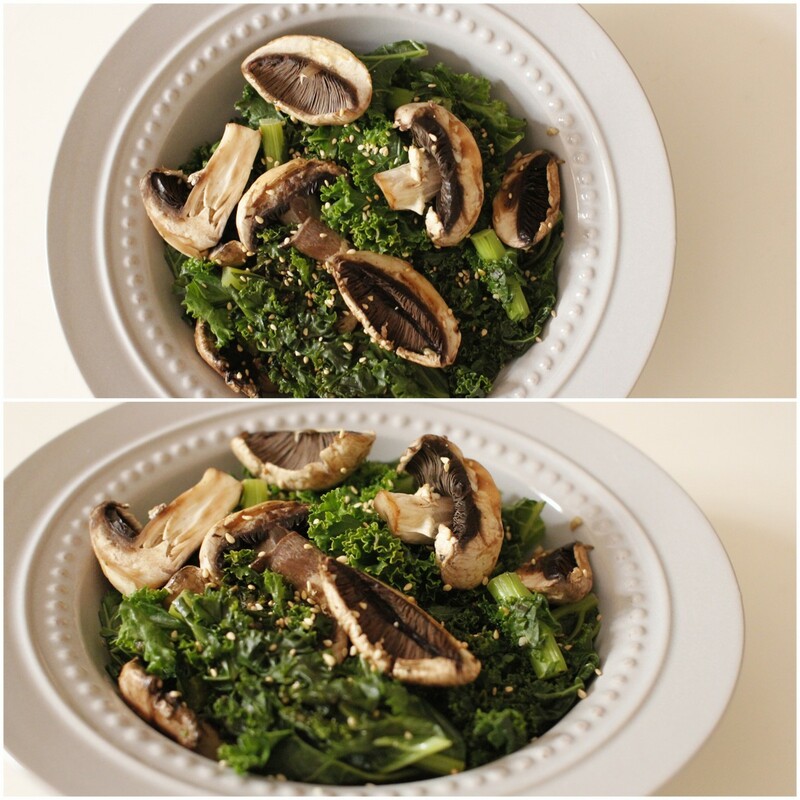 I used half to make a sauteed kale and mushrooms with a splash of soy sauce and a teaspoon of garlic, and another half for kale chips. I’ve seen packaged ones at the health food shops, which cost fortune for a handful of kale chips. It is cheap and easy to make at home, so do it yourself! I washed and pat dried kale leaves. Sprinkle sea salt and cayenne pepper. Put in 170 degree oven for 30 minutes (check and flip them now and then so it doesn’t burn). It is light, crunch, spicy.. I’m in heaven.